Oops not that kind of burn 🙂 – Yes excellent question. After a quick search I discovered this is an easy registry change. Create a DWORD value of NoCDBurning, and set it to 1. Reboot, and the built in burn functionality of Windows is gone. This works on XP through Windows 7. Now one Gotcha with this is that it does *not* prevent third party apps from burning. You would need to handle this with a separate policy. It is a free download from here and it can push this change to computers remotely. Steve, like the burning building. Gave me a laugh this morning. Question. Will this work on Windows 2000? No, it won’t. But at the same time I don’t think CD-Burning was built into Windows 2000, was it? Hey steve, we have a licensed copy too. How do I get the update. Do you know of any way to block burning tools like Nero, or Roxio? From what this article says it looks like this will not block those. 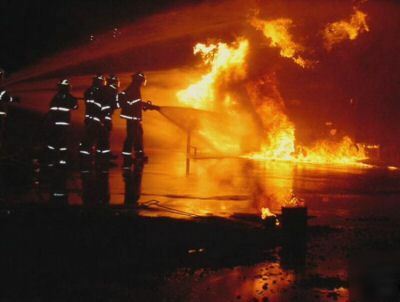 Yes you are correct it will not block those type of burning tools. The best I can say right now is keep your users from having admin rights on their local machines. That way, when they try to install software like this – they will need to come to you to get it done. I know it is not the easiest solution…and we are looking into other ways…but still have not found 1 easy change that would work on all versions of Windows. What are the limitations on the free version of Network Administrator? The free version limits you to 3 computers. The full version will allow you to apply changes to an unlimited number of computers. Awesome fire steve. Love it. What about DVD burners that are connected via USB. Would this prevent those from working with the built-in burner, or would I need to use the USB disabler thing you guys have? This would also block USB based DVD burners. Actually, anything that windows sees as a burner in this situation will be blocked…but again if roxio or another third party app is installed…all bets are off. Steve, I like Network Administrator and all, but I was wondering if you have a method to do this via group policy? If I purchase Network Administrator, and you come out with a new plugin next week – will I get it for free? Good question. When you purchase Network Administrator you will get free upgrades for a year. You can extend that to two years for an extra $39 US. What will happen is when we come out with a new plugin, we will email all current customers and let them know about the update. From there, you just install the latest version and it will have all the new plugins. Send us an email at support@intelliadmin.com if you still have any questions. 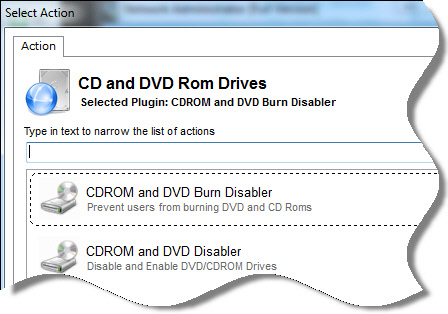 What about disabling just reading DVD and CDROMS? I want to stop that too.